Earlier this month I traveled back to the place where I felt most exposed, most disappointed, and most broken. Ever. I made the choice to go. I packed up our entire family, boarded a plane and away we went. The place was just as we had left it…maybe a little hotter, a littler drier, but the same. I went willingly but with small shreds of dread in my heart. I knew we were meant to return. But if you have not heard, this, The Most Elaborate Foster Plan Ever Orchestrated, or this The Epic Adventure is Over; were the reasons for my dread. Upon reflection I realize my search for hope in the midst of hardship is not an uncommon pursuit. I would love for you to join me today in uncovering a path to hope despite the hardship. Our visit to America was full of warmth. The people who originally supported and sent us on our journey across the ocean, received us well; and nursed us back to health. Our time in the states reminded us of our desperate need for community, especially in times of tragedy. Upon re-entry, amidst the dirt and dust, we heard small bits of news concerning our former life in Uganda. We were curious if anyone had seen or heard about the well-being of the precious little ones we left when we boarded the plane for America. There was some. Not great news. Helplessness fled our hearts as the fight for them as ours is one that is unrealistic, inappropriate and over. Compassion followed. Yet, to intervene, to bring support–what would this practically look like? More questions than answers followed. The bumpy roads brought our jet-lagged bodies deep into the bush of Northern Uganda. The longer we drove the more the sting of painful memories kissed images of lovely Nile River views and children’s bright smiles. I could almost hear the sounds of their laughter. How can a place capable of so much pain, be the same location of some of the most beautiful scenery and lovely human beings on the planet? Beauty and pain are often so intimately enmeshed they cannot be experienced one without the other. Uganda’s pain is raw, exposed, at times even primal. America’s pain, though dressed differently, at times masked or diluted; is very much alive and well. Friends, how do we respond? There is beauty. There is pain. Often more pain than beauty. Where do we find hope? This is not my first rodeo with pain. Nor will it be my last. Funny thing about faith, many folks believe once they start a relationship with God the promise is healthy, happy life ever after. Not so fast my young Padawan. Ironically, the Lego Movie came out while we were living in Uganda last year. I would often hear 5 little voices singing at the top of their lungs, “Everything is Awesome!” It simply is not true. Everything is NOT awesome. Often life is painful…brutally painful. We return to our question. As faith-filled believers…how do we respond to the beauty and the pain? Where do we find hope? Life with God does not mean laying down in a bed of roses at night or singing, Everything is Awesome all day long. He does promise a “with-ness” through the pain. This go ’round for me I found hope and felt God’s with-ness through community and through His Word. Community brings hope. We ate popcorn, watched Shark Tank, and wrangled our children as they ran around the living room with “swords” and light sabers. We did date nights, drank margaritas and laughed. Over shiraz, hummus and pitas we told the stories of the very suffering that attempted to crush us. Somehow the wound was less open and raw with each telling. The surrounding of others who know and get us, felt safe, healing. God’s Word brought tremendous hope. Scouring His Word…I found others who had felt alone. Others who had experienced loss. Believers who attempted to follow God but questioned and doubted His goodness, his with-ness. Those faith-filled forefathers gave words that brought hope. It is no wonder Gideon asked for 2 different signs to be sure the instructions God was giving were legit. Somehow reading Gideon’s words brought me both comfort and hope. God not only was with Gideon, he used him in mighty ways with a tiny army to conquer and defeat the very ones who were bringing about the oppression of his people. We need honest Words. Words voicing abandonment and confusion…and yet somehow still trusting. Those honest voices light the way to hope. If you are enduring pain, hardship or suffering currently, let me pause and say with all sincerity: I am SO sorry. 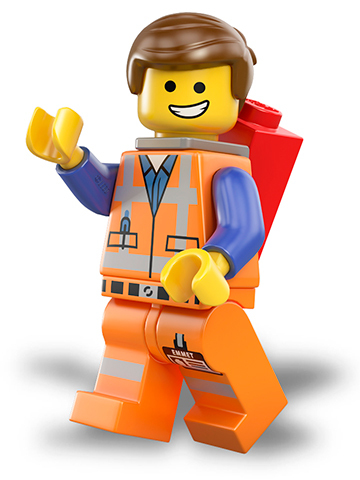 Everything is NOT awesome and I get it. That said, I want to be a friend who points out the beauty admist the pain. It is there. Look for it. Ask others to come alongside you to remind you of God’s love and to point you to hope. She is present, she is there and she is worth finding. Delve in to the life of David, Gideon, Job and others who felt so very confused by their life circumstances and yet perservered, sought God and found hope. I appreciate your sweet words of encouragement. Yesterday, Tom Randall shared his missionary journeys at our church, God did some awesome things through him and yet allowed him to go through some tough times. But all for Tom’s good and God’s glory. He shared that when we are in fiery situations like the 3 Hebrew boys. That sometimes the Lord: Delivers us from it, delivers us through it, or delivered by it into his glory. Thank you for encouraging me to take up my cross and follow Him. Greetings Rechaud you and your beautiful Betsey! How very true that as uncomfortable and hot the situation may be…He is so VERY close. Delivered from it, through it, or by it…truth! Thanks for taking a moment to bring this encouragement.